Our skin adores water. Good natural skin care always demands plenty of healthy water substanses and essential waters are a must in almost every other recipe - starting from face, body and hair tonics, going through creams and lotions, and ending with soaps, deodorants etc. There is a number of recipes for cosmetic masks and facial masks with medicinal qualities. Once you’ve chosen the right type of dry mask for your skin (for example fuller’s earth or clay) you can activate it by adding herbal water to the mixture until you get the right consistency. Once applied to your skin you need to periodically spray it with water in order to keep it fresh. Spraying it directly onto the face, neckline and body leaves you with a vital feeling of gentle softness. Naturally, don’t forget to smile to boost the effect! 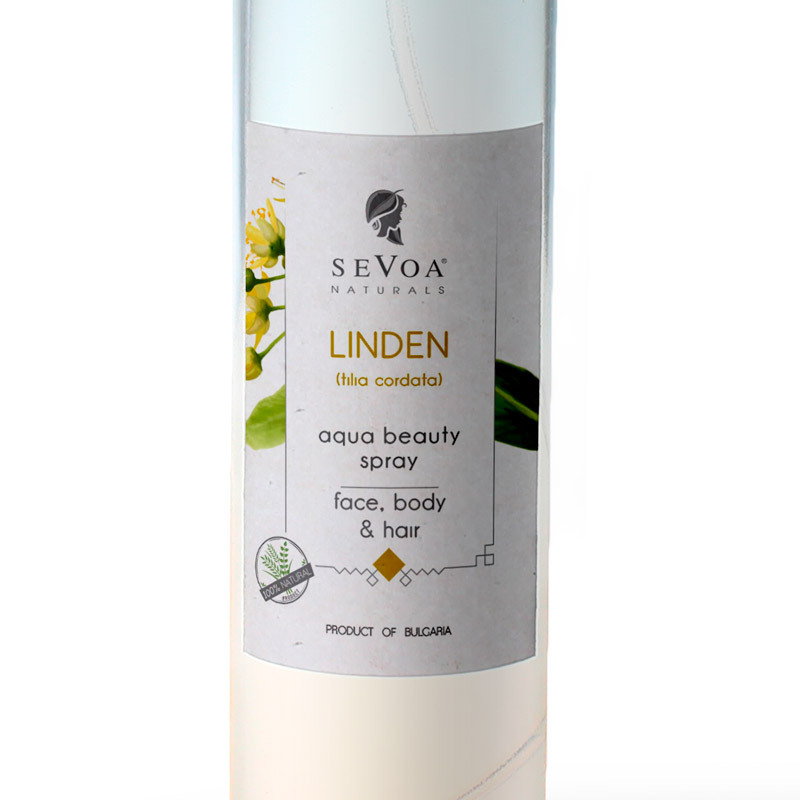 Ingredients (INCI): Purely spring water distilled Linden blossom. All produced by us. Surely, without any additives.